I opted for matching themes this week, although I've been assisted by Nellie so some of my handiwork is a little wobbly. Like me, she's a big fan of washi tape which proved hard work. 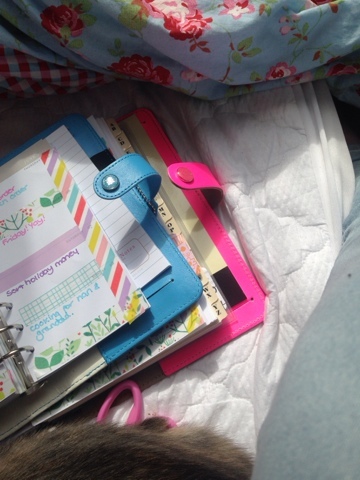 I used sticky notes I picked up from sainsburys and matching washi from the same line. 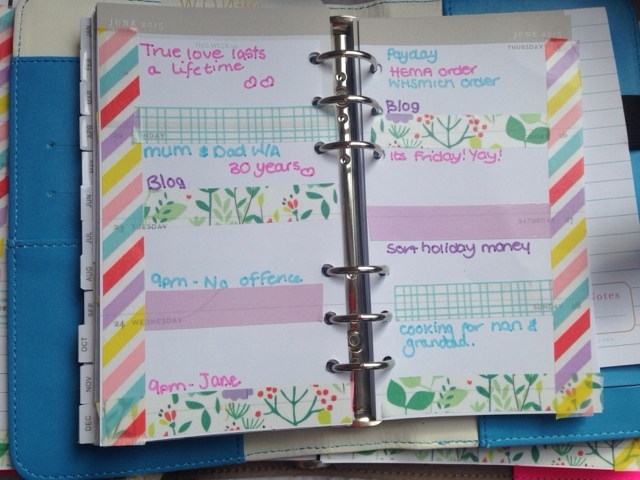 I love the bright summery feel to them and love how they compliment my planner too. 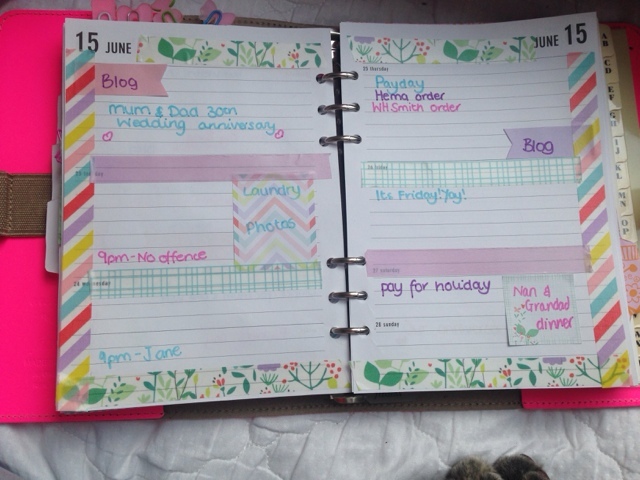 I used my trusty frixion pens in coordinating colours and as such am really pleased with the way this week has turned out. The personal size pages were a bit too small for the sticky notes, but I felt the colours complimented my color crush planner well. It feels a little bare as there's not much going on this week, but we've just had a weekend of celebrations thanks to my parents 30th wedding anniversary and Father's Day here in the uk so to be honest I'm glad of a little down time to snuggle up with a good book and Nellie. Wherever you are and whatever you're doing, I hope you have a good week too!